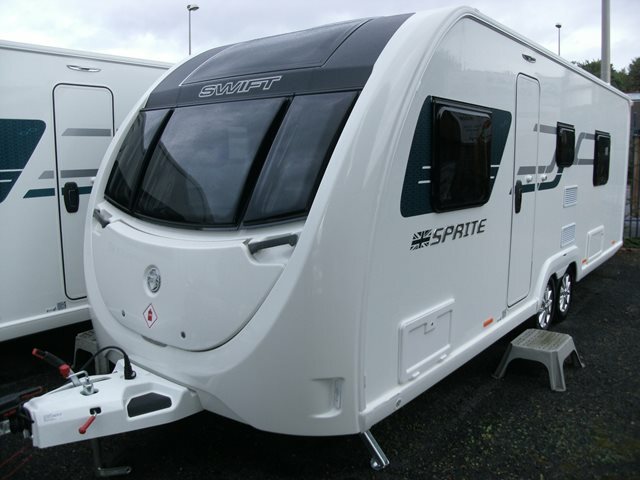 This six berth Quattro EW features 'L' shaped seating to the front, side dinette with fold up bunk, central kitchen, fixed double bed, and spacious end wash-room. Our Quattro also includes the optional panoramic front sun roof and Diamond Pack (AL-KO AKS 3004 stabiliser, microwave, CD/radio player with MP3 connectivity, alloy wheels, door flyscreen, AL-KO Secure wheel lock receiver and two scatter cushions). For any further information please contact us on 01384 413336 and ask for a member of the sales team. Be quick! Last one available!